Winter often gets a bad reputation as the season of stress. With all the hustle and bustle of the holiday season, it can be difficult to slow down and enjoy the beauty of this time of year. A short winter staycation could be just the thing you and your family need to unwind and recharge for a moment. This year, escape to the historic river town of Grafton, IL and experience the best in food, shopping, nature, and family fun. We’ve put together 6 great reasons why your next winter destination should be close to home. The return of the winter months mean one thing in Grafton— the return of the North American Bald Eagles to the Meeting of the Great Rivers region! 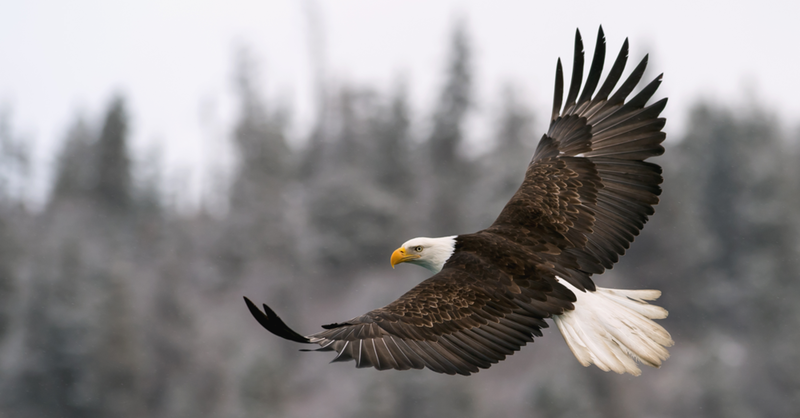 Every year, the second largest population of bald eagles in North America migrate to the area and stay from December until March. From beginners to seasoned eagle watchers, Grafton has all the best vantage points to see these majestic birds take flight. Though wineries are classic summer and fall destinations, a winter trip to the vineyards is just as enjoyable. Without the crowds, you can get the full tasting experience in a peaceful setting with breathtaking views of the winter scenery. It’s also the perfect time to stock up on all your favorite bottles so you can let the heavy pours flow when family comes to visit this holiday. Winter is a time for savory comfort foods that warm you from the inside out. At Aerie’s Resort, we serve hand-crafted seasonal dishes alongside the perfect glass of wine to delight your taste buds and soothe your soul. Stop by with your loved ones and experience the flavors Chef Jerrick has composed for our winter culinary symphony. The fun doesn’t stop with summer in Grafton! All winter long, family friendly events are happening throughout the town. Check out Towboat Days at Grafton Harbor in November for a little history and experience life on the Mississippi River. In December, take a ride on Santa’s Chocolate Express that stops by local shops to sample chocolatey holiday treats and check out the seasonal sales. And of course, Bald Eagle Days at Pere Marquette State Park takes place from the end of December all the way until March! Quirky specialty shops, cozy boutiques, local crafts— all the rare finds are waiting for you. Find the perfect gift to check off your holiday shopping list, or treat yourself to an eye-catching piece just because! 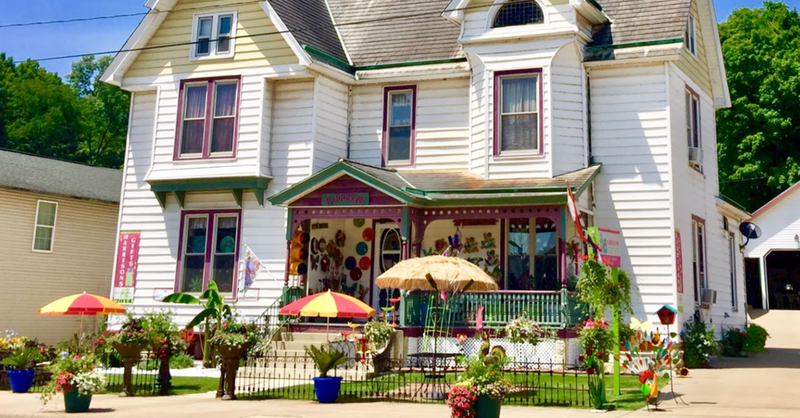 From Aerie’s Grounds & Gifts, to Eckert’s Country Store & Farms, to Golden Eagle Antiques, there’s something for everyone in Grafton! After exploring the hidden gems of Grafton, unwind and spend some quality time in a cozy cabin, relaxing suite, or roomy villa at Aerie’s Resort. Nestled in the bluffs overlooking the rivers, Aerie’s boasts the best views in the Midwest and is a staycation experience in itself. Whether you’re a family of four or a couple of lovebirds, the perfect lodging is waiting for you here. If these six reasons aren’t enough to get you away from the hectic winter season for minute, you should probably read them again! For more information on any town events, visit the City of Grafton’s website. And, as always, to book your stay or find out more about The Winery and our seasonal selections visit aeriesview.com. Happy relaxing to you and yours!